Most doors are hinged along one side to allow the door to pivot away from the doorway in one direction but not in the other. The axis of rotation is usually vertical. In some cases, such as hinged garage doors, the axis may be horizontal, above the door opening. Doors can be hinged so that the axis of rotation is not in the plane of the door to reduce the space required on the side to which the door opens. This requires a mechanism so that the axis of rotation is on the side other than that in which the door opens. This is sometimes the case in trains, such as for the door to the toilet, which opens inward. A swing doors has special hinges that allow it to open either outwards or inwards, and is usually sprung to keep it closed. 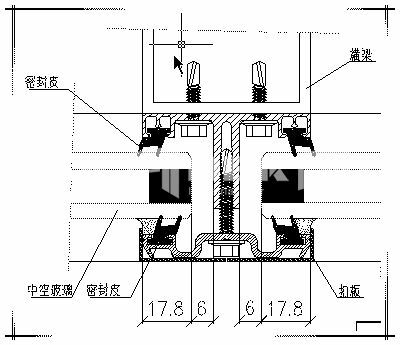 A selfbolting door is called as such because of its special hinges that permit the panel leaf to move laterally so that the door itself becomes a giant bolt for better security result. The selfbolting door principle can be used both for hinged doors as for rotating doors, as well as up-and-over doors (in the latter case, the bolts are then placed at top and bottom rather than at the sides). French doors are derived from an original French design called the casement door. It is basically a double-leaved door with large glass panels in each door leaf, and in which the doors can swing both out as well as in. French doors traditionally have a moulded panel at the bottom of the door. Dutch door or stable door; the top half of the door operates independently from the bottom half. Garden door Similar to a French door; the hinge is next to the adjacent fixed door and the latch is located at the wall opening jamb. Typically only one door is operable. More secure than the French door. Sliding glass doors are common in many houses, particularly as an entrance to the backyard. Such doors are also popular for use for the entrances to commercial structures. A revolving door normally has several wings/leaves that hang on a central shaft forming compartments which rotate one way about a vertical axis. Doors using four wings are most common, but there are also examples with two, three, or six wings. The door may be motorised, or pushed manually using pushbars. People can walk out of and into the building at the same time. Between the point of access and the point of exit the user walks through an airlock. Revolving doors therefore create a good seal from the outside and help to reduce A/C and heating costs climate control from the building. This type of door is also often seen as a mark of prestige and glamour for a building and it not unusual for neighbouring buildings to install their own revolving doors when a rival building gets one. A butterfly door called because of its two "wings". It consists of a double-wide panel with its rotation axle in the centre, effectively creating two separate openings when the door is opened. Butterfly doors are made to rotate open in one direction (usually counterclockwise), and rotate closed in the opposite direction. The door is not equipped with handles, so it is a "push" door. This is for safety, because if it could open in both directions, someone approaching the door might be caught off-guard by someone else opening the other side, thus impacting the first person. Such doors are popular in public transit stations, as it has a large capacity, and when the door is opened, traffic passing in both directions keeps the door open. They are particularly popular in underground subway stations, because they are heavy, and when air currents are created by the movement of trains, the force will be applied to both wings of the door, thus equalizing the force on either side, keeping the door shut. A High Speed Door is a very fast door some with opening speeds of up to 4m/s (the world record efa-str), mainly used in the industrial sector where the speed of a door has an effect on production logistics, temperature and pressure control. High Speed Clean Room Doors are used in Pharmaceutical industries for the special curtain and stainless steel frames. They guarantee the tightness of all accesses. The powerful high-speed doors have a smooth surface structure and no protruding edges. Therefore, they can be easily cleaned and depositing of particles is largely excluded. High Speed Doors are made to handle a high number of openings, generally more than 200000 a year. They need to be built with heavy duty parts and counterbalance systems for speed enhancement and emergency opening function. The door curtain was originally made of PVC, but was later also developed in aluminium and acrylic glass sections. High Speed refrigeration and cold room doors with excellent insulation values was also introduced with the Green and Energy saving requirements. A tambour door is an up-and-over door made of narrow horizontal slats and "rolls" up and down by sliding along vertical tracks and is typically found in entertainment centres and cabinets. a). A pressure sensor - e.g., a floor mat which reacts to the pressure of someone standing on it. b). An infrared curtain or beam which shines invisible light onto sensors; if someone or something blocks the beam the door is triggered open. c). A motion sensor which uses low-power microwave radar for the same effect. d). A remote sensor (e.g. based on infrared or radio waves) can be triggered by a portable remote control, or is installed inside a vehicle. These are popular for garage doors. 2). A switch is operated manually, perhaps after security checks. This can be a push button switch or a swipe card. 3). The act of pushing or pulling the door triggers the open and close cycle. These are also known as power-assisted doors. In addition to activation sensors automatically opening doors are generally fitted with safety sensors. These are usually an infrared curtain or beam, but can be a pressure mat fitted on the swing side of the door. The purpose of the safety sensor is to prevent the door from colliding with an object in its path by stopping or slowing its motion. Inward opening doors are doors that can only be opened (or forced open) from outside a building. Such doors pose a substantial fire risk to occupants of occupied buildings when they are locked. As such doors can only be forced open from the outside, building occupants would be prevented from escaping. In commercial and retail situations manufacturers have included in the design a mechanism that allows an inward opening door to be pushed open outwards in the event of an emergency (which is often a regulatory requirement). This is known as a breakaway feature. Pushing the door outward at its closed position, through a switch mechanism, disconnects power to the latch and allows the door to swing outward. Upon returning the door to the closed position, power is restored. Rebated doors, a term chiefly used in Britain, are double doors having a lip (i.e. a Rabbet) on the vertical edge where they meet.